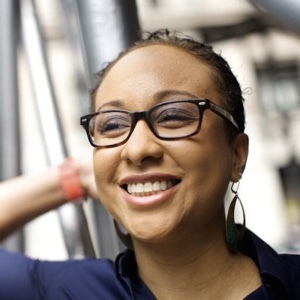 Oct. 17, 2014, 11 a.m.
Stacy-Marie Ishmael, coming from the FT, will join Noah Chestnut on the new, newsroom-integrated team. By Caroline O’Donovan @ceodonovan Oct. 17, 2014, 11 a.m. Shortly after being hired as head of product for BuzzFeed’s new news app, Noah Chestnut started spending more time with his phone, downloading leading news apps, reading email newsletters, and generally checking out the competition. Soon, Chestnut will have help with all that research. BuzzFeed is announcing today that it’s hired Stacy-Marie Ishmael from the Financial Times to lead the editorial side of the BuzzFeed News app, which we wrote about when the hiring process began earlier this year. Ishmael is currently vice president of communities at the FT. She was one of the creators of the now-defunct FT Tilt and the early financial blog FT Alphaville. She also worked as a product manager at Percolate, where, funnily enough, she once interviewed Noah Chestnut for a job. Prior to all of that, Ishmael was a finance reporter, which means she has experience on both the editorial and product side of a newsroom. Smith says he expects Ishmael will hire somewhere around seven or eight journalists to work on the app, some of whom will be internationally located in order to allow for 24/7 coverage. In addition, reporters already working for BuzzFeed News will contribute to the app’s editorial content — part of Ishmael’s job will be to integrate those two teams and develop an efficient workflow. With that goal in mind, both the product and editorial teams working on the new app will sit together in the newsroom, which Chestnut says is a first for developers and designers at BuzzFeed. Chestnut has been working with BuzzFeed’s regular mobile developers on fleshing out a prototype of the app, and says new hires to the tech team who are especially interested in working in news will be considered for permanent placement on his team. While Ishmael will have a “big voice in product” when she starts, Chestnut has begun to flesh out a minimum viable product for the app. He says he uses apps like Yahoo News Digest, Circa, and NYT Now everyday, as well as Facebook Paper (they make “a lot of weird choices that I love,” he says). Chestnut is an especially big fan of Google Now, which he says he uses all the time on Android, where it’s a baked-in personalized news service, but less frequently on iOS, where it’s based in a standalone app. In both cases, Google uses information like search data and your email contents to predict the user’s information needs. He’s also looked at chat apps like Kik and Line, which are especially applicable if you’re interested, as he is, in dark social. Sharing behavior in email or private message is different than on the big networks. “It’s private, it’s intentional — it’s more intimate,” Chestnut says. BuzzFeed has Facebook and Pinterest down, but they’re also interested in learning more about private sharing behavior and what kind of information people like to have directly delivered to them. That’s why, for example, it makes sense that the app is launching as a newsletter. Other news organizations, like the BBC, are already experimenting with delivering news natively on chat app platforms, so it might make sense to think about what features those services offer when building a news product. Though Chestnut says he’s not sure whether the app will involve messaging, he says he’s been thinking a lot about how people connect via stories. POSTED Oct. 17, 2014, 11 a.m.
O'Donovan, Caroline. "BuzzFeed now has editorial and product people in place for its forthcoming news app." Nieman Journalism Lab. Nieman Foundation for Journalism at Harvard, 17 Oct. 2014. Web. 19 Apr. 2019. O'Donovan, Caroline. 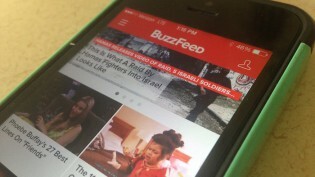 "BuzzFeed now has editorial and product people in place for its forthcoming news app." Nieman Journalism Lab. Last modified October 17, 2014. Accessed April 19, 2019. https://www.niemanlab.org/2014/10/buzzfeed-now-has-editorial-and-product-people-in-place-for-its-forthcoming-news-app/.